Looking at the current crop of Young Adult books, it can be tough to remember that there was ever a time before Twilight and The Hunger Games. YA is now a juggernaut, spawning million-dollar box office openings, but let’s not forget that 20 years ago, it was a cute little side-line in publishing. And let’s not forget the authors who helped pave the way for the current success of YA. Although some 90s series, like The Vampire Diaries, have seen a renaissance, most languish in semi-obscurity. So, if your interest in YA started with Suzanne Collins or John Green, why not check out some of my favourite 90s reads? I couldn’t decide which of these books to include on this list, so I’m including both. Violet and Claire is the more bombastic of the two, turning a story of fraught female friendship into a heady, noir-ish romp through the underbelly of LA. The Hanged Man is quieter, dreamier, this time transforming LA into a dark, magic-realist landscape. What they have in common is gorgeous, evocative writing and a surprising amount of grit for YA fiction. 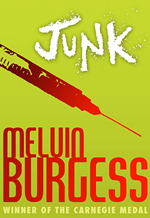 In his unflinching portrayal of Bristol’s City Road in the 1980s, Melvin Burgess has no time for either hushed, poetic contemplations on drug-taking or clumsy, moralistic incitements to Just Say No. Without pretension, he wades into his milieu – with its squats, street kids and punk music – and matter-of-factly delivers a taut, compelling drama about two 14-year-old runaways. I loved this book when I was 14 myself and I still love it today. 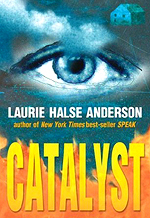 This is a novel that tends to get overshadowed by Laurie Halse Anderson’s more famous Speak (which I would also recommend), but I personally think Catalyst is a better example of Anderson doing what she does best: strong, character-driven stories about teenagers making mistakes and trying to be better. Are you ready for a metaphor? 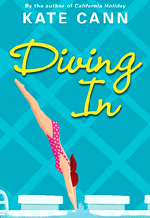 Because heroine Coll is a swimmer and she is about to dive in to the treacherous waters of her own awakening sexuality. Whew. Diving In does include some clunky storylining, but I also think it captures something true about teenage relationships. Coll’s romance with Art is a good-girl-meets-bad-boy story that contains within it a sharp sense of realism. This kind of realism (sometimes giddy, sometimes bleak) is missing from most of the other 1,783 teen romances I’ve read. This series has had so many names, it’s hard to keep track. First, it was ‘Girlfriends/Boyfriends’, then ‘Making Out’, and now it’s been reissued as ‘The Islanders’. Whatever you call ‘em, there’s a reason the publisher keeps trying to make money out of these books: they’re great. 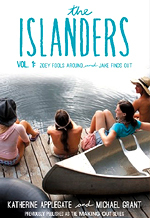 Zoey Fools Around kick-starts a soapy romp through the lives of a group of very different teenagers, whose connection is that they all live on a tiny island off the coast of Maine. Will you take away my Certified Grown Up card (you get one of those when you hit 30, don’t you know) if I admit I devoured about 15 of these books just last Christmas? As a series, it’s lovingly characterized and, although you’ll gasp at the soapy plot twists and swoon at the romance, the real charm of these books lies in the quirky details, like would-be meteorologist Claire, who stalks her widow’s walk hoping for storms, or loveable hipster Nina, who “smokes” unlit cigarettes. What 90s YA books do you think are in need of a little love in the twenty-teens? And am I the only one who thinks ABCFreeformMaxipad should adapt the Katherine Applegate series, like, yesterday?